Inspired by traditional calligraphy, our latest liner makes cat eyes effortless even for liquid liner novices. Smooth, fluid single stroke colour glides on and stays on for an all-day finish without fading. With precision brush tip for perfect application. 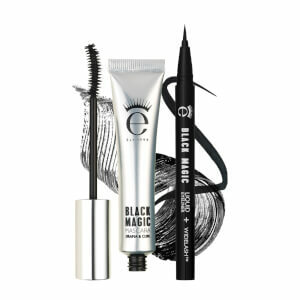 Ooh I love it and it was stay long than other liquid eyeliner. By far my favorite eyeliner. Goes on smooth. It really does improve the length and thickness of my own lashes after about 5 days of use. Stays on pretty well, definitely not water proof by any means, but is a small downside compared to the overall product. Thank you eyeko! This is by far the best liner I've ever used. I love the brush tip. It makes it so easy to apply. It goes on super smoothly and makes a perfect thin line every time. Flows perfectly from the brush from the first use until it's gone. Amazing! 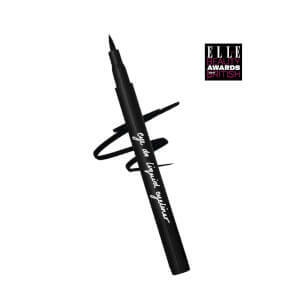 The thin tip of this liner makes it easy to define those fine lines that are often difficult to put on! Will repurchase. This brush tip is amazing. 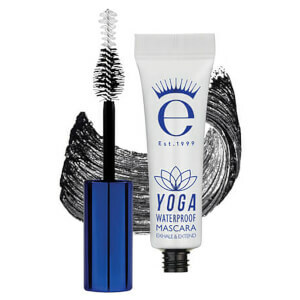 The formula lengthens my lashes and looks very dark. Highly recommended! 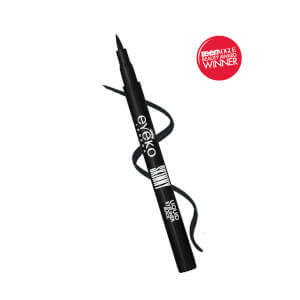 The brush is fantastic,it's very precise.My go to eyeliner!